Donut forget all the sweet memories you made along the way! 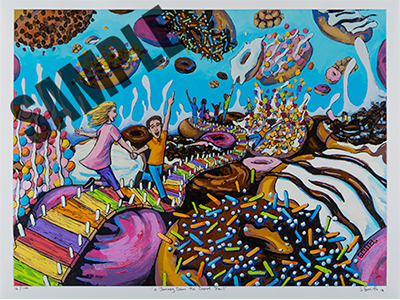 Reminisce and savor all the delicious sugar infused treats you enjoyed for years to come with exclusive Donut Trail keepsakes. 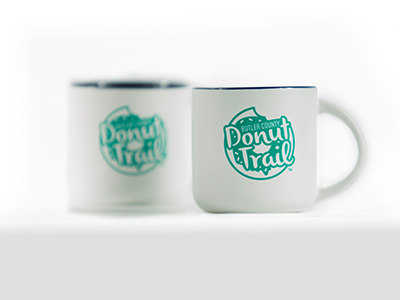 Buttons, perfect for backpacks, keychains, so you can always have a piece of the trail with you, mugs, because what pairs better than coffee and donuts, and a Donut Trail print created by a local artist, a beautiful way to celebrate the trail and decorate your space! Keepsakes are available for purchase at the Butler County Visitors Bureau, or we'd be glad to mail them directly to your doorstep.